Coming off the successful release of his Coloring Book mixtape, Chance The Rapper just announced his next big move. 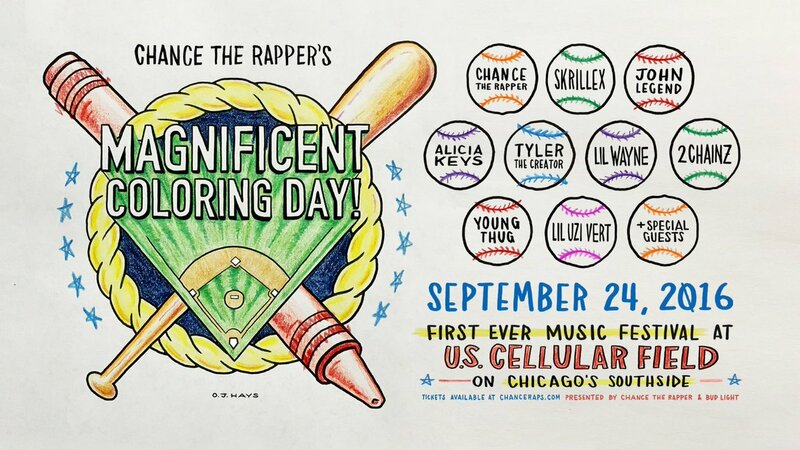 On September 24, Chance will host the first ever Magnificent Coloring Day festival in Chicago. With performances from Lil Wayne, Young Thug, Tyler The Creator, Skrillex, Chance (of course) & many more, this will definitely be an event you won’t want to miss. Tickets go on sale tonight on ChanceRaps.com beginning at $35.